Architecture is a creative art, which has evolved from generation to generation, from age to age according to the nature of man, his circumstances and available technologies. Architecture is thought of as the mother of all arts. Thus institutions imparting architectural education play an important role in producing talented and creative individuals who are well versed with the changing trends in the technologies for the development and progress of the nation. With this idea, Dr D Y Patil School of Architecture (DYPSOA) was established in 2011-12 at the D Y Patil Knowledge City headed by the dynamic Chairman Dr Ajeenkya D Y Patil. The school offers full-time programs in Bachelors of Architecture and Master of Architecture (Environmental Arch). It has evolved from a long standing belief that world class education is the stepping stone towards progress. Prof Shubhada Chapekar, Principal, says, "At our institute, Architectural Education is perceived as a progressive bridge connecting nature and technology. We are committed towards quality teaching and nurturing core values that are the base for a successful and fruitful career. Thus the learning methods are based on grooming the students and leading them in the direction of creating architecture which achieves a balance between the built spaces and the natural environment." "Emphasis is laid upon well-rounded development- in addition to the various workshops, seminars, guest lectures by eminent architects and experts from varied fields, site visits, case-studies and study tours, we consider sports and cultural activities as vital instruments in the development of interpersonal skills, time-management, creative initiative and enterprise, problem- solving, planning & organizing skills," adds Prof Shubhada. She explains, "The work culture here is based on communication, capacity building and encouragement to maintain and achieve a good student teacher ratio. The faculties are able to contribute better at work as the institute promotes engagement of faculty in writing research papers, working on professional projects, taking up voluntary workshops organized out of the institute and to attend various training and development programs for self-growth," When asked about the methodologies used to stimulate creativity in students, she shares, "we strongly emphasize on problem-based learning whichencourages the students to embrace innovation by brain-storming and working in groups within the studio. Active flow of thoughts is encouraged between juniors and seniors. A Practicing Architect assists each design studio. They are also invited to conduct one week intensive design studios involving a live project which gives a first-hand experience of the industry to the students. In addition various workshops, seminars, guest lectures are conducted by eminent architects and experts from varied fields to ensure their multifaceted development." The students also participate in the events and competitions organized by other institutions as well as by the National Association of Students of Architecture. Regular site visits, market surveys, case-studies, study toursand hands-on exercises are arranged to understand the technical aspect of design and construction, the historical, cultural and geographical context which can be implemented in the design solutions. To support these initiatives we have a state of the art infrastructure, which offers well-lit and airy Studios, Lecture Halls, Material Museum, Climatology Laboratory, Building Services Laboratory and a Well-equipped Library with a Student Resource Center. Our student centric approach is supported by having only 40 students and 4 teachers per studio. The institute boasts of a Well-equipped Library open beyond college working hours; and a Digital Laboratory with latest architectural software and internet-connectivity for students to learn new software and access online data. Our Student Resource Center archivesthe work of students and faculty. In a short span of six years, DY Patil School of Architecture has achieved the status of one of the top ten colleges in India. "Our students have received several awards at the national level competitions not just in academics but also in co-curricular and extracurricular activities," says Shubhada. D Y Patil School of Architecture believes in an overall development of the students as today, the world requires competitive young minds. "We are confident that our skilled and proficient faculty members, student centric approach and our ethos based on the Theory of Collective Happiness add great value in enhancing the student's skill sets," concludes Shubhada. 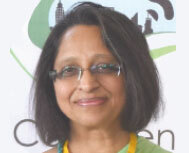 Prof Shubhada Chapekar is an alumnus of Sir J J College of Architecture and has a Master's Degree in Environmental Architecture from University of Pune. She has an experience of 25 years and is associated as Principal with D Y Patil School of Architecture since its inception in 2011.She believes that ensuring a conducive, professional and creative environment inside the campus will enable the students to develop life-long learning habits that will lead them towards a successful career in architecture.